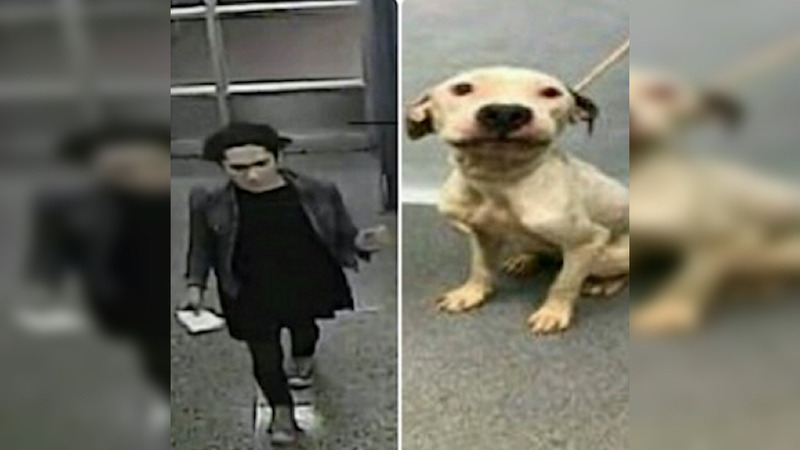 LOWER EAST SIDE, Manhattan (WABC) -- Police on the Lower East Side are searching for a man who left a dog inside a suitcase and put it in a dumpster. It happened on Wednesday, October 19th at 8:45 p.m. The man was seen leaving his apartment on Water Street with a suitcase. An hour and a half later, police found the male pit bull inside of the dumpster on 7 Gouverneur Slip East. The dog was severely emaciated. The man is described as 25 years old, 5'5", about 125 lbs., with black hair. Anyone with information is asked to contact Detective John Glynn of the Animal Cruelty Investigation Squad at 646-610-7272.